As some of you may have already seen, the new November Club Kit from La-La Land Crafts was revealed and again, it's awesome! 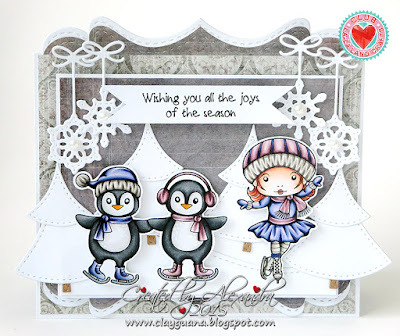 I have two cards to share with you today, which were made using the products from the kit. Have you already subscribed to get in the mail your monthly surprise kit? You can read how to do it here.